The tourist destination is a haven for wine lovers. Niagara on the Lake Wineries line the escarpment with its picturesque orchards and vineyards, the community consists of 28 wineries barely a few minutes from each other. The place is actually a family enclave with each offering something different to visitors. Apart from viewing the orchards tourists will also enjoy the tasting bars, where they can actually sample the drink before they make a purchase. The place is such a friendly atmosphere. Niagara on the Lake Wineries early welcome tourist to the food and wine destination. Its where gourmet food lovers can have a feast every day. 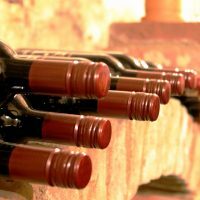 The place produce top quality wine products because Niagara on the Lake Wineries is known to have good soil composition and the perfect climate. Visitors can take a tour around the area, and marvel at the state of the art technology used for producing wines. 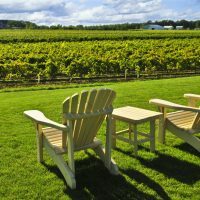 The best way to make the most of the your exciting weekend is to join the Niagara on the Lake Wineries organized tours, Most wineries have their own tours all year round. Some can even arrange special group tours. Most establishments require reservations, so please book ahead of time to avoid hassles. Visitors can tour as many wineries as they can.To help visitors organize their time, the destination site has is plan your getaway tool that can put together a fun-filled afternoon for the entire group. The itinerary building tool was specially made for wine lovers who wish to make sure that their time is well spent in the destination. The wineries in the area are Cattail Creek, Chateau des Charmes. Colaneri, Coyote’s Run, Diamond Estates, Hinterbrook winery, Ice House, Inniskillin, Jackson-Triggs, Joseph’s Konzelmann, Lailey, Maleta, Marynissen, Niagara College, Palatine Hills, Peller, Pillitteri, Pondview, Ravine, Reif, Riverview, Southbrook, Stonechurch, Stratus, Strewn, Sunnybrook farm and Trius Winery at Hillebrand. The places is really a magical kingdom for win lovers. Each establishment has a story to tell with characters as unique aa the wine they produce. Each winery has a personality of its own, and whether it is a vast estate or a boutique establishment, each wine is produced with so much love and commitment. As guests enter each winery, they will be impressed at the friendly staff and the exquisitely designed tasting rooms and of course the wine variety. 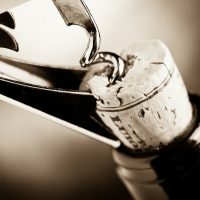 Here guests can have a taste of the good life with wines of various vintages, special reserves, new released and small batch specialties. Truly nothing can ever come close to this loving community of wine makers, who not only committed to the product but also makes sure the ample support are extended to fellow wine producers.